The art of Japanese Puppetry, Bunraku, also known as Ningyō Jōruri, will come alive in New York on December 1st! Noh Society presented the following programs in conjunction with The Heart of Bunraku. 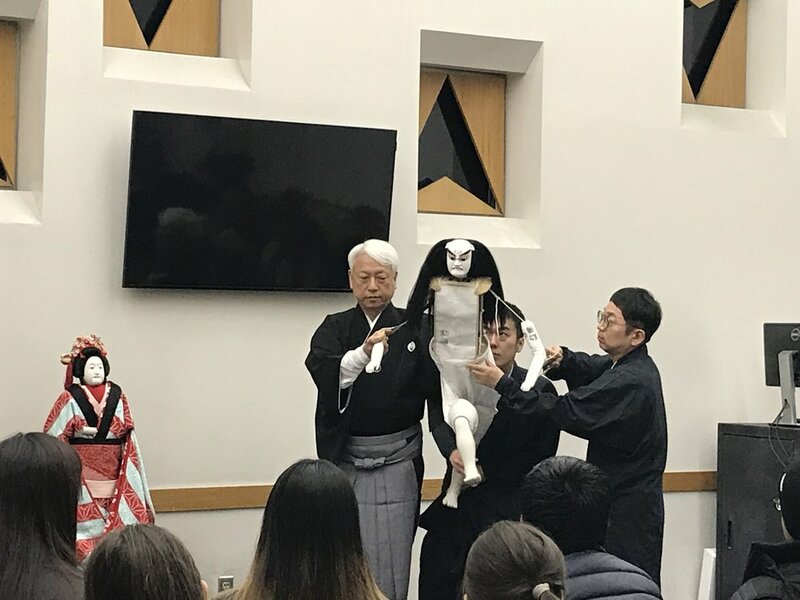 In cooperation with University of Pennsylvania Noh Society was able to present a lecture- demonstration - performance of Bunraku. 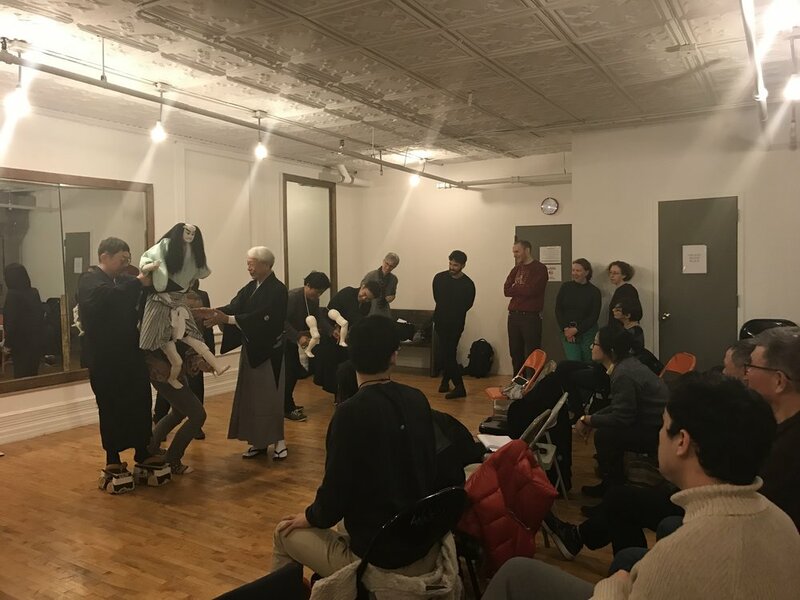 In cooperation with Hunter College Noh Society was able to present a lecture- demonstration of Bunraku for the students of Japanese language at Hunter College. COME LEARN ABOUT BUNRAKU PUPPETS FROM A MASTER! Pupper Master Kanya Yoshida from Japan is coming to New York, and a special workshop for fellow puppeteers has been arranged. There will be a demonstration/explanation and an opportunity to handle the puppets followed by Q&A. Pupper Master Kanya Yoshida, Montomi Kiritake and Kanjiro Kiritake from Japan offered a demonstration and performance at LYCEUM KEMMEDT JAPANESE SCHOOL.